Here are ten languages that don't often get much consideration by the prospective student, but are worth taking a second look at for those that are undecided on which language they want to learn. Long-time readers will recognize much of this, but this is the first time they have been all gathered together in a single post. Icelandic is spoken by only a tad over 300,000 people, but given its maintenance of an archaic grammatical structure and pent for linguistic purity (creating words from existing terms instead of borrowing them from other languages) it is a favourite for linguists. 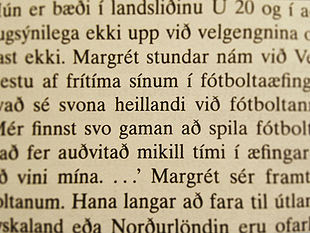 It is also very similar to Old English, which apparently was mutually comprehensible with Icelandic at the time. Anyone else will tell you that Icelandic is fiendishly difficult and that unless you are really interested in Icelandic itself you should stick with easier and more often-used Scandinavian languages - Swedish, Norwegian and Danish. And yes, Norwegian is probably the easiest language for English speakers to learn. Icelandic has one advantage it can claim over the others though: regional variation in Icelandic is almost non-existent. This means that you can learn Icelandic from a textbook and then perfect it with your friends in Reykjavik, and not need to worry about going to another city and finding out that they happen to speak a variant completely unintelligible to you, as is the case with the other three. It's not because Iceland is small though, because it's actually over twice the size of Denmark and Denmark has a great many dialects that are unintelligible to those that only speak the standard language. One other tiny plus: being able to read Faroese. Bulgarian has quite a different grammar from the other Slavic languages (Russian/Polish/Czech etc. ), and this difference makes it quite a bit friendlier to the average English speaker. One very important distinction is the presence of a definite article (English the), which doesn't exist in other Slavic languages. Bulgarian does this by adding a suffix, like in the Scandinavian languages and also in Romanian. The word for moon (luna, Луна) becomes lunata (Луната), which means the moon. Another big difference: pretty much no palatalization, as this article states. Much bigger than these two is the following: Bulgarian has no cases (except for a very few remnants). No nominative/genitive/accusative...instead, Bulgarian uses prefixes as one does in English. Actually, there are cases in pronouns, but those exist in English as well (I/me, we/us) so not hard for the English speaker to pick up. Finally, Bulgarian isn't just a Slavic language but also the direct descendant of Old Church Slavonic, which was more or less the Latin of the Slavic languages at the time. Many people study languages for the career benefits they bring. This usually means choosing languages like French, Spanish, German, Japanese and Chinese, as opposed to say Romanian, Dutch, and Vietnamese. A large part of these benefits come from the number of speakers of the language, its geographic extent, and the average GDP of those that use it. So why is Latin here? Well, if we assume that the goal of someone learning a language is to get a steady and high-paying job, Latin has this too: Latin teachers are in very short supply right now. As shown in this post, Latin has been enjoying a steady increase year by year in just about every country, but at the same time many Latin teachers are retiring and schools are having trouble finding replacements. 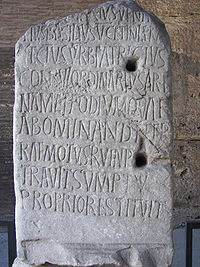 Latin is probably one of the only languages one could learn, in fact, that leads to such a steady career just by being fluent in it. Other languages will usually require a secondary skill to go along with it. Chinese plus experience in international trade, German plus ten years in the automotive sector...many that spend a great deal of time learning a language are given a rude surprise when they realize that simply being fluent in it doesn't provide the benefit they thought it would, but Latin differs from modern languages in being valuable careerwise in and of itself. In addition to this, after devoting years to becoming fluent in Latin the other Romance languages then become a cinch. Though spoken by many more people than Icelandic, Norwegian is still not usually on the list of languages prospective students think of learning so it gets a mention here. As mentioned above it is likely the easiest language for English speakers to learn. It does have the drawback of having a great number of regional variants, but then again so does German and this never seems to stop people from learning it. Norwegian has two official variants: Bokmål and Nynorsk, but they are similar enough to each other that often when reading a discussion online written in both variants you won't even recognize which is which until a little ways into reading a post. As mentioned in Latin above, though many learn languages for the economic benefit alone, what is often overlooked is that simply knowing a language spoken by many does not usually signify making more money. Compare knowing French in Canada with Spanish in the United States: Spanish is extremely common in the US and knowing it is a big plus, but French is an official language in Canada and knowing it helps one get stable government jobs, so in spite of the smaller population it is French for Canadians that provides more of a direct benefit than Spanish for Americans. Norwegian is a bit similar here, in that though it is spoken by only about 5 million people, those 5 million people happen to live in a country with the second highest GDP per capita ($95,062 per capita compared to $46,859 for the United States), and one with an extremely stable political system, a well-educated populace, and an impressive high-tech sector. While many still succeed at finding employment in Norway without knowing the language (in multinational corporations that need certain skills), it certainly can't hurt. The other benefit to Norwegian is quite interesting: studies show that not only is Norwegian the easiest Scandinavian language for other Scandinavians to understand, but Norwegians also understand other Scandinavian languages the best too. In that way Norway is the ideal gateway language to continental Scandinavia. 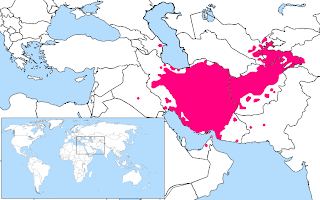 Persian is a language with a difficult-looking exterior, but has quite a simple grammar: no cases, verbs are extremely regular, not too hard to pronounce, and it's an Indo-European language and thus has a lot in common with English and other European languages. It's also a so-called "mission critical" language, meaning that the CIA pays signing bonuses of up to $35,000 for those that are fluent in it. That doesn't mean that one should necessarily learn it only in order to get involved in intelligence gathering, but it does show how valuable a skill it is. It also has fairly low regional variation, and is understood not only in Iran but also in Afghanistan and Tajikistan. Iranians are (and always have been) fairly progressive, very friendly, and very modern, and as their reaction to the elections on June 12th this year showed, they want a government that also has these traits. Turkish is a language with a surprisingly large geographic extent. Most think of Turkish as simply the language of Turkey, but it can be used in an astounding number of areas. There are nearly a million Turks in neighboring Bulgaria, an autonomous community of 150,000 in Moldova use a language almost the same as Turkish, Turkish is an official language of Kosovo, then there's Northern Cyprus, Azerbaijan (technically the language there is Azeri but it's more or less the same), as well as the northwest part of Iran, some parts of Iraq and Syria, and then there are Turkic languages spoken throughout Central Asia such as Kazakh, Uzbek, and Kyrgyz, and even into China with Uyghur and even a language called Salar that resembles Istanbul Turkish but is located right in the middle of China in the provinces Qinghai and Gansu. And not only that, but there is an extremely large Turkish minority in Germany as well (3.5 million) concentrated particularly in the capital, and there are many Russian republics where the official language is a Turkic one - Tatarstan is one. Ukraine has another one in the south (Crimea) where a Turkic language is spoken. Add to all this the fact that the Turkish population is increasing by about a million a year and may one day in the future join the EU, and it's a pretty good language to learn. It has a grammar completely different from English, but it's very logical and has very few irregularities. There are dozens and dozens of languages that have been constructed in order to hopefully some day serve as the world's second language, but of all those only three have managed to create and retain a community of any size - Esperanto, Ido, and Interlingua. The population estimates for these languages is generally thought to be anywhere from 100,000 to 2 million for Esperanto, to a few thousand for Ido and Interlingua. 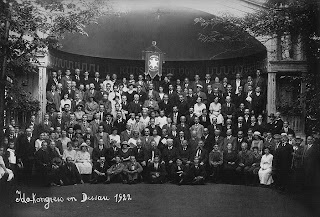 Esperanto is the only one of the three that is able to bring people together in numbers upwards of a thousand, whereas Ido and Interlingua gatherings usually only number a dozen or two, but being able to gather anyone together to speak a constructed language really is quite an accomplishment so they deserve to get mentioned together. The advantages to these three languages are that they are ridiculously easy, have an extremely friendly community, and are similar enough to many other European languages that they become that much easier to understand after learning one of these three. It was only after learning Ido, for example, that I began to be able to understand a lot of written Spanish and Italian, languages that I had never taken a look at until then. Economic benefits: not much, although Esperanto has an interesting network of people that are willing to provide free lodging to travellers in exchange for speaking to them in the language, and many have gone from country to country in places like Europe spending almost no money at all thanks to this. 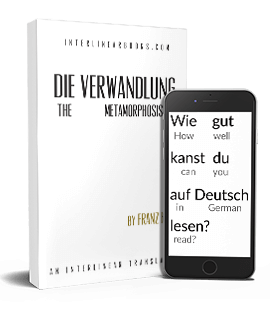 The simplicity of these languages means that even if you are a complete dud at learning languages you should still be able to acquire fluency in one of these, because they were specifically made to be easy to learn, and thus they offer a gateway to bilingualism that might be unavailable for the otherwise linguistically disinclined. Oh, and you never know - one day one of them may succeed and become the world's second language, and then you'll have a head start on that. One recommendation for anyone choosing to learn one of these: choose one, and stick with it. Don't get into the endless debate over which language is better than which. Lithuanian is well-known among linguists for being the most archaic of the Indo-European languages, retaining a lot of the phonology, grammar and other aspects of the theoretical Proto-Indo-European language from 5000 years ago. There's something about learning words like skaityti (to read), vilkas (wolf), vyras (man) and ugnis (fire), and knowing that they correspond to Proto-Indo-European (s)kʷeyt/(s)kʷoyt, wĺ̥kʷos, wiHrós (also Latin vir), and egni (also Latin ignus, from which terms like ignite are derived) that sends a tingle down your spine. Okay, but isn't it insanely difficult? Not exactly - it's complex in some areas, but extremely regular in others (verbs in particular). A post on the difficulty of learning Lithuanian can be seen here, and an online course here provides a really easy way to learn the basics; after going through that the language doesn't seem half as scary as it did before. The economic benefits are admittedly quite minimal, but if you were interested in it before but afraid to learn it due to its reputation as being a herculean task you might want to give it a second look. It sounds good sung too. When you talk about Interlingua, do you speak of Interlingua-IALA? As I am aware, there are quite a few versions of it. The grammar of IALA is really pretty easy: you almost know it already. As for Esperanto's lodging service, I had considered using it at some time but it seems that the number of people they have is very small. For example, if I am not mistaken, they only have 5 people in Portugal. Norsk er ganske bra, ikke sant? Great list, even though I would like to see only 1 of the nordic languages on it. If you first learn icelandic, scandinavian isn't that far off really, especially Norwegian. But the rest of the list is great. Thanks for the recap. lyzazel: Norwegian is an easy language to learn, but some foreginers, especially immigrants who don't learn Norwegian because of interest, but because they have to, never really bother to learn to speak the local dialect. That means that they still can be understood, but they will always go as a "foreigner with crappy Norwegian". This is probably what the guy you talk to meant when he talked about the guy that have lived here for 10 years. And yes, especially among older people, it's common to think that Norwegian is extremely hard to learn, for some reason.